If you also need other sleeping gear, check out our other selections of backpacking sleeping gear as well. 1. Buying a Down Sleeping Bag – What is important? Down sleeping bags have a better weight-to-warmth ratio (they are lighter for the warmth they provide) than those with synthetic insulation. Furthermore, they also pack smaller and thus take up less space in a backpack. Down insulation is made from goose or duck plumage which is very lofty and fluffy – this material has many tiny air pockets where the body-warmed air gets trapped. Therefore, down insulation provides great warmth while being lightweight. The quality of down is measured by the fill-power index. The fill-power index tells us how many cubic inches one ounce of down occupies and typically ranges from 300 (low-quality down) to 900 (high-quality down). The higher the fill-power index, the better weight-to-warmth ratio the down has. 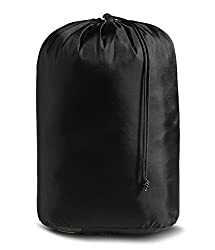 However, keep in mind that a sleeping bag with low-quality down can still be warmer than a sleeping bag with high-quality down if it contains more ounces of down – but obviously this also makes it heavier. In this selection we only included products with a down fill-power index of at least 550 (very good and excellent quality of down). As down quickly loses its thermal insulation if it gets exposed to moisture or water many manufacturers treat their down with DWR (Durable Water Repellant) – such as Mountain Hardwear’s Q Shield down. DWR treated down resists moisture longer than regular down and thus provides good warmth in humid environments. However, synthetic insulation is still preferred for very humid environments as it gets less affected by moisture than down. To learn more about the differences between down and synthetic insulations check out our article Down vs. Synthetic Jackets (it works the same way for sleeping bags). 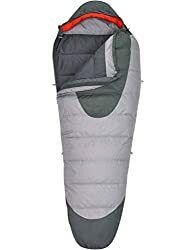 Note that we only included down sleeping bags in this selection – for most people they are a better option due to their low weight, packability etc. The face fabric of a sleeping bag should be breathable, sturdy and water-resistant. A breathable face fabric prevents condensation from building up on the inside while water resistance is required to protect the down from moisture. The durability highly depends on the durability of the face fabric and it should therefore be abrasion-resistant. Manufacturers usually list temperature ratings by the EN 13537 standard. This standard includes 4 different ratings; extreme temperature, lower limit, comfort temperature and maximum temperature. The extreme temperature tells us the lowest temperature at which an average woman will survive with the possibility of getting hypothermia. The lower limit rating defines temperature at which an average adult male will be comfortable and the comfort temperature states at which temperature an average woman will stay comfortable. The maximum temperature rating is the limit at which the sleeping bag causes overheating. There are several different styles of sleeping bags; mummy, quilt, wearable and envelope. Each of these styles has advantages and disadvantages. In this selection we only included mummy types as they are the most versatile – they snugly enclose your body (for low temperatures) and have a zipper for ventilation (high temperatures). Lightweight equipment reduces the strain on your body and thus allows you to hike faster and easier. Therefore, a sleeping bag should be as light as possible. All products in this selection weigh less than 3 lbs. 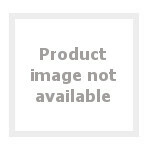 Nevertheless, they do provide great warmth as they use high-quality down insulation. Read more about why it is important to use lightweight gear for hiking in our article Why hike lightweight. Most sleeping bags are available in two sizes; regular and long. In general, you should go for size L if you are taller than 6 ft. (180 cm). However, always check the sizing before making a purchase. Width when packed 7.09 in. 7.87 in. 7.09 in. 9.00 in. 9.06 in. The Mountain Hardwear Ratio 32 is extremely light and thus perfect for those who prefer lightweight hiking and mountaineering. It features an insulation layer made of 650 fill-power Q.Shield down which offers great warmth while still being lightweight. The Q.Shield down loses very little loft if it gets exposed to moisture as each down plume is treated with DWR. The Mountain Hardwear Ratio 32 also uses Thermo Trap Baffle technology which locks the down into smaller chambers to minimize its migration and ensures equal warmth all over the sleeping bag. The face fabric is made of durable but lightweight DWR treated nylon which offers good abrasion-resistance and repels the water. In addition to that, the Mountain Hardwear Ratio 32 has a full-length zipper with double sliders and an adjustable hood (drawcord). The zipper allows you to easily regulate the temperature and is equipped with cord loops. 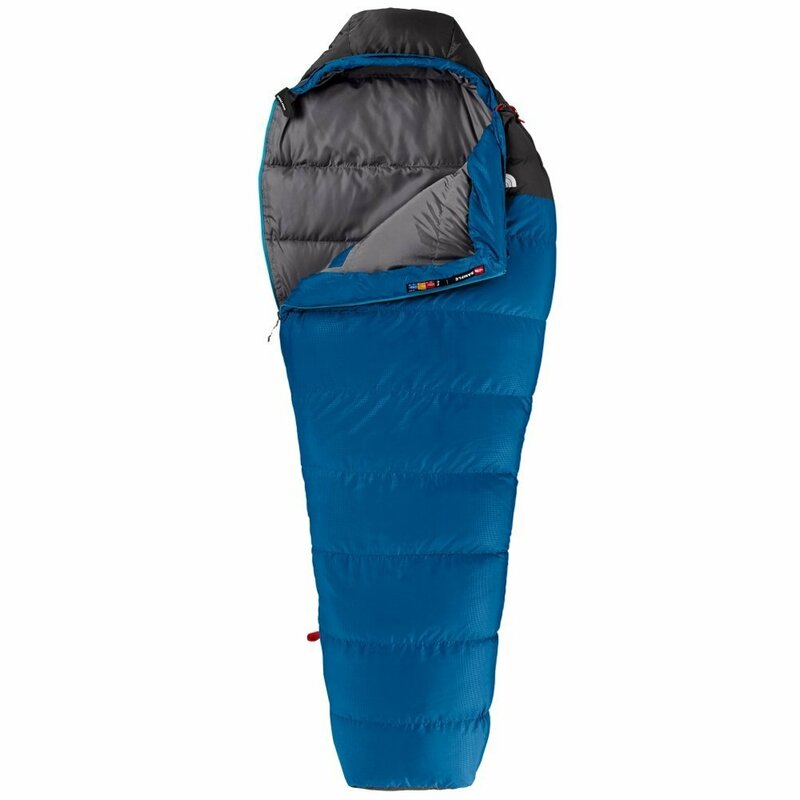 The sleeping bag has an insulated draft tube along the zipper which efficiently eliminates the cold spots. The Mountain Hardwear Ratio 32 offers great warmth and functionality in a lightweight format and therefore ranks first in this selection. The Kelty Cosmic Down 20 is a little heavier than the Mountain Hardwear Ratio 32 (it weighs approximately 7 ounces more) but on the other hand it also uses a slightly more durable face fabric. 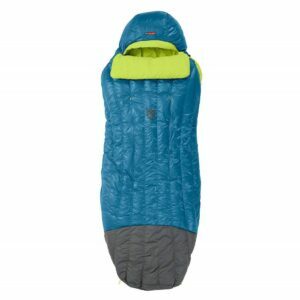 The Kelty Cosmic Down 20 utilizes 600 fill-power DriDown for insulation. Kelty’s DriDown is hydrophobic like the Q Shield down mentioned above; each down plume is treated with a molecular level polymer to be water-resistant. Therefore, DriDown stays dry for longer when exposed to moisture than regular down and provides good warmth in moist conditions. In addition to that, it also dries up to 33% faster than regular down. The face fabric of the Kelty Cosmic Down 20 is made of 50-denier ripstop polyester which offers good breathability and abrasion resistance. 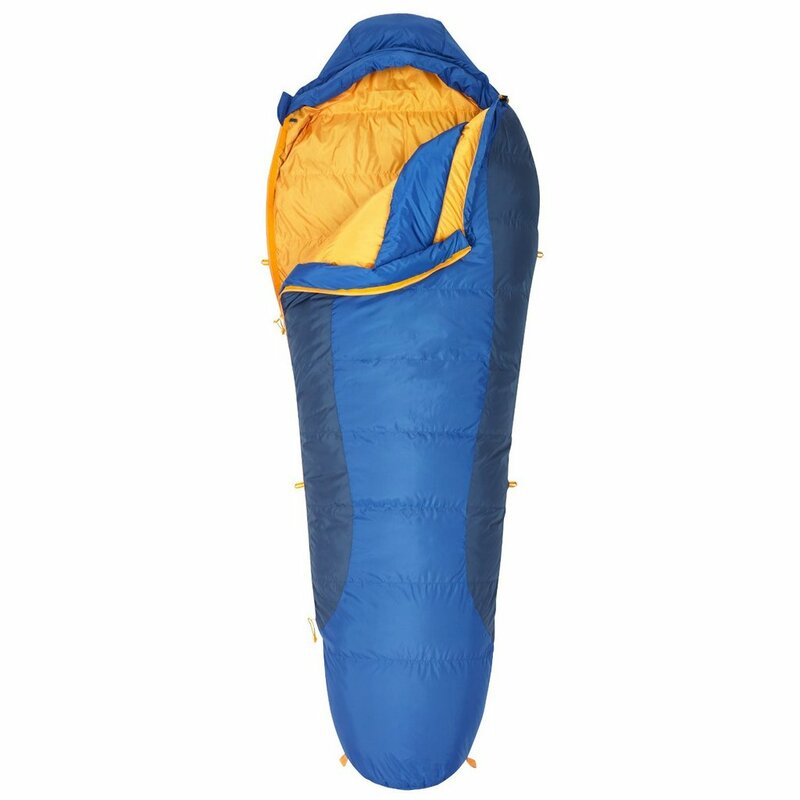 The sleeping bag has also a natural fit footbox, thermal comfort hood, and a zipper that reaches to the foot box. The zipper is equipped with a draft tube. The Kelty Cosmic Down 20 is a great option for recreational hikers and mountaineers because it provides great warmth for a relatively low price. 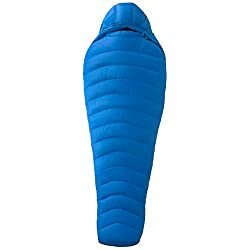 The Marmot Helium Down is a very lightweight sleeping bag (the lightest in this review) which provides great warmth – it has EN Lower Limit at 14° F. It differs from other products in this review by using an insulation of a higher quality – nothing less than 800 fill-power down and thus provides great warmth without making the sleeping bag heavy. The down is also DWR-treated so that the warmth doesn’t decrease significantly if it gets wet. The face fabric is made of Pertex Microlight material which is durable, abrasion-resistant and windproof. In addition to that, it is also treated with DWR (Durable Water Repellant) for better weather protection. The Marmot Helium Down uses curved baffles which reduce the migration of down and eliminate cold spots. It is also equipped with a 6-baffle hood, draft collar, anatomical footbox and a durable two-way zipper for ventilation. The Marmot Helium Down is best for those who need a top-quality sleeping bag for year-round hiking and mountaineering. It has the best weight-to-warmth ratio of all products in this selection. The Nemo Disco 15 is extremely comfortable. It is wider in the areas around the elbows and knees than ordinary sleeping bags, to offer better comfort through the night as you can easily reposition yourself. The Nemo Disco features Nikwax 650 fill-power hydrophobic down and thus has a good weight-to-warmth ratio and retains its loft even if it gets exposed to moisture. The face fabric is made of 30-denier nylon for good abrasion-resistance and durability. It is also treated with DWR to repel water rather than absorbing it. The Nemo Disco 15 is equipped with a pillow sleeve, internal pocket and full-length zipper. The pillow sleeve comes in handy as you can insert a jacket or other clothing in it to create an improvised pillow. The Nemo Disco is a great option for those who find ordinary sleeping bags too tight and uncomfortable. 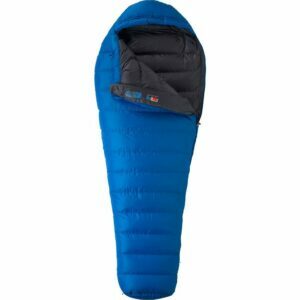 It offers similar warmth as the Marmot Helium Down but is slightly heavier. The North Face Furnace Down 20 is the least expensive product in this review. Therefore, it is a great option for those who have a tight budget. However, it also uses down of lower quality (550 fill-power) and therefore it doesn’t have as good weight-to-warmth ratio as other products in this review. Nevertheless, it is insulated with DWR treated down and thus retains warmth even if it gets exposed to moisture or water. The North Face Furnace Down also has a layer of Heatseeker synthetic insulation at the bottom for increased moisture resistance. Furthermore, it is equipped with an internal pocket, anatomically designed footbox, tight fitting hood and a draft collar. The North Face Furnace Down 20 might not be the best product in this review, but it does offer a lot for the price. It is a great option for those who don’t want to spend too much money and don’t mind carrying a couple of grams more. 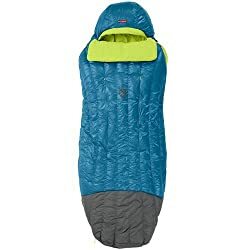 What is a good weight for a backpacking sleeping bag? 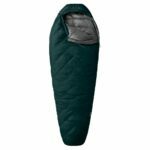 High-quality 3-season sleeping bags for backpacking typically weigh less than 3 pounds (1500 grams) while high-quality winter sleeping bags for backpacking weigh less than 4.5 pounds (2000 grams). Note that down sleeping bags are lighter than synthetic while providing the same warmth. 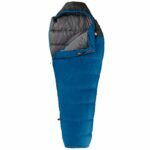 How do I choose a sleeping bag for backpacking? You should choose a sleeping bag according to the temperatures and conditions you expect to encounter on your adventures. 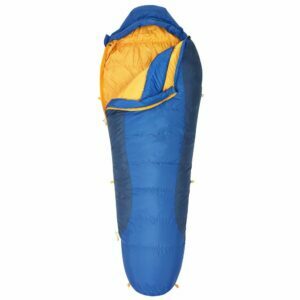 For dry conditions we recommend using a down sleeping bag while in very humid conditions you will be better off with synthetic insulation. Down insulation loses warmth if it gets exposed to moisture. 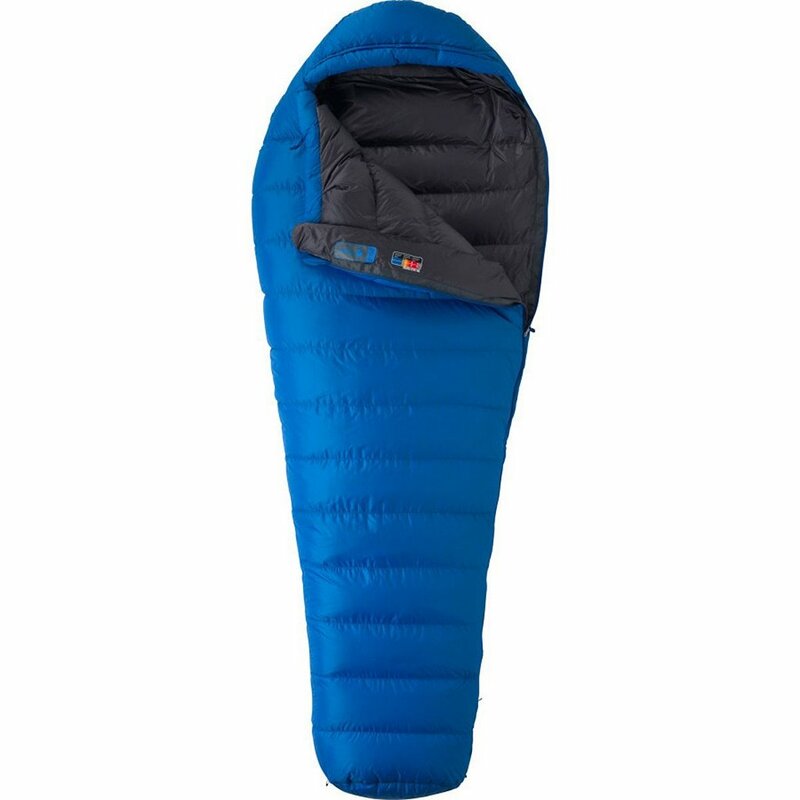 Are down sleeping bags better than synthetic? In dry conditions they are better because they are more thermally efficient – they have a better weight-to-warmth ratio. However, in very humid conditions down quickly loses warmth. .
What temperature is a 3-season sleeping bag for? 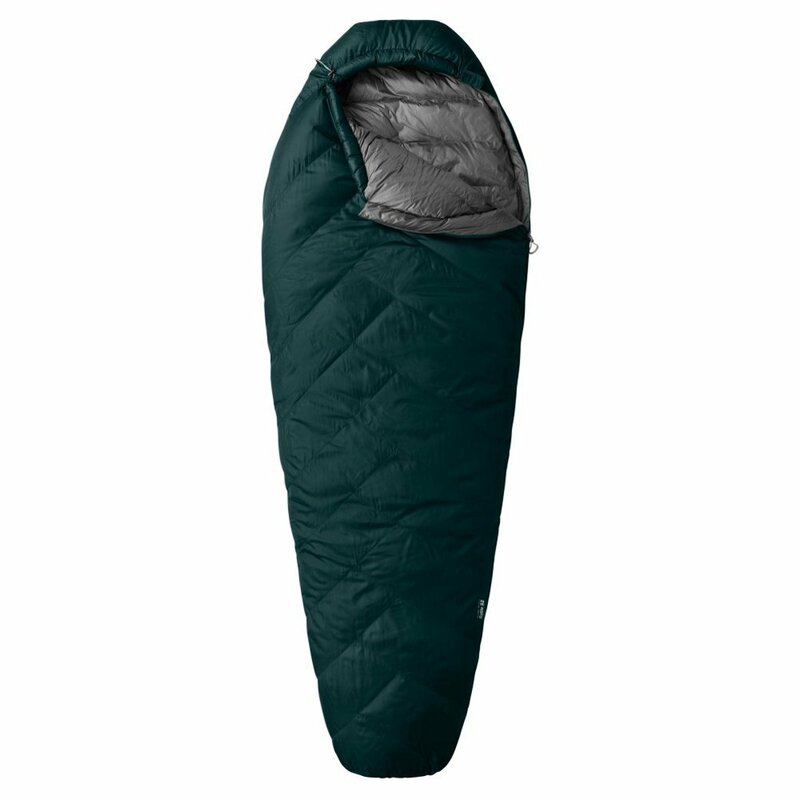 3-season sleeping bags are made for temperatures above the freezing point– 32° F (0 C°). 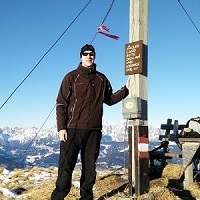 ← What to do if you get lost on a hike?